Mechanicsburg – Williams Grove Speedway has released its 2018 schedule of events featuring 33 race dates, all which include the powerful Lawrence Chevrolet 410 sprint cars. The 2018 season opener featuring the 410 sprints only is slated for Sunday afternoon, March 11 at 2 pm. The Sunday opener is the first such slated opening date since back in 2008. A total of four season dates for the always-popular super late models has been slated including the return of the World of Outlaws late model series to the track for the first time since 1988. The outlaws late models ran their first-ever series race in history anywhere at Williams Grove in 1988 and the 2018 oval event will celebrate the 30th anniversary of the series paying $10,000 to the winner. Other late model dates this season are March 16, March 23 and June 8 as part of the KRS Graphics Tri-Track Challenge. The HJ Towing & Recovery 358 sprint cars will be featured on 12 occasions at the track in 2018 with the division kicking off action on March 30 running through September 2. The mud-slinging horses of the wingless USAC sprint cars will hit the speedway as part of the Eastern Storm tour through the region on June 15. For the first time ever at Williams Grove Speedway on June 15, the USAC 410 sprints will be joined by the regular weekly Lawrence Chevrolet 410 sprints on the same program. The World of Outlaws sprint cars again return to the track next season for a total of six events including the series customary two-day May and July stands along with the two-day, 56th annual National Open on September 28 and 29. The Champion Racing Oil National Open will pay a whopping $56,000 to win and $1,000 just to start in 2018. Champion Racing Oil returns to sponsor the entire National Open weekend in 2018 as well as the Summer Nationals on July 20 and 21. The Arctic Cat All Star Circuit of Champions sprints will make two appearances at the track in 2018. All Stars action is slated for the Tommy Hinnershitz Memorial on April 13 and again for the Jack Gunn Memorial Twin 20s on August 24, paying $4,000 to win each event. The United Racing Club 360 c.i. sprints have three dates inked on the 2018 schedule with two of the shows carrying dual 360 sanctions. May 4 will find the oval taking part in the inaugural Battle At The Groves event, featuring Friday racing at Williams Grove and Saturday racing at Selinsgrove Speedway for both URC and the nationally popular ASCS 360 sprints. The appearance at Williams Grove by ASCS will be the first time in history that the circuit will be in action at the historic venue. The Empire State Patriot Sprint Tour will co-sanction URC action on August 31. Other divisions appearing on the 2018 schedule include the PASS IMCA 305 sprints and the super sportsman along with racing of a two-wheel variety as well when the AMA Pro Flat Track Motorcycle Series stages an event at Williams Grove Speedway on September 8. 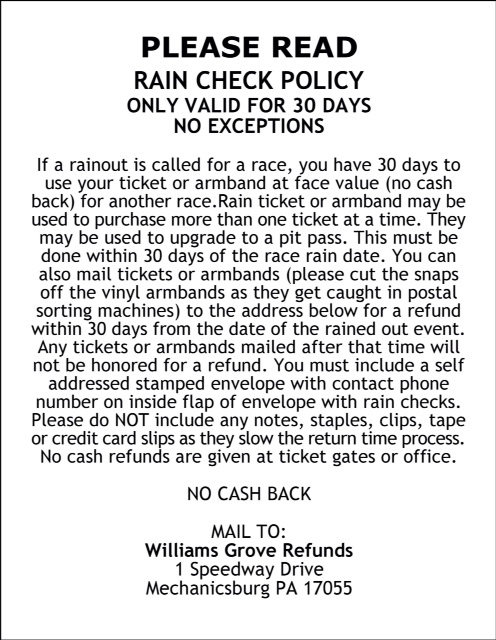 The September 8 AMA Motorcycle racing program will be an independently operated racing event at Williams Grove and Williams Grove season seats, season admission passes, gift certificates, parking passes, etc., will not be honored. The 10-race Hoosier Diamond Series will again be staged at Williams Grove in 2018 with a champion of the series declared based on performances in select increased purse races during the year. Also returning for another run in 2018 will be the lucrative Yellow Breeches 500 races, with each of five races paying $500 just to start. The Diamond Series will serve to honor two legendary Williams Grove car owners in 2018, with the Walt Dyer tribute event slated for May 25 and the Al Hamilton tribute planned for August 31. Other big sprint car races on the 2018 Williams Grove schedule include a pair of Pennsylvania Speedweek shows on June 29 and July 6 and a Lincoln Speedway Dirt Classic Qualifier set for September 21. 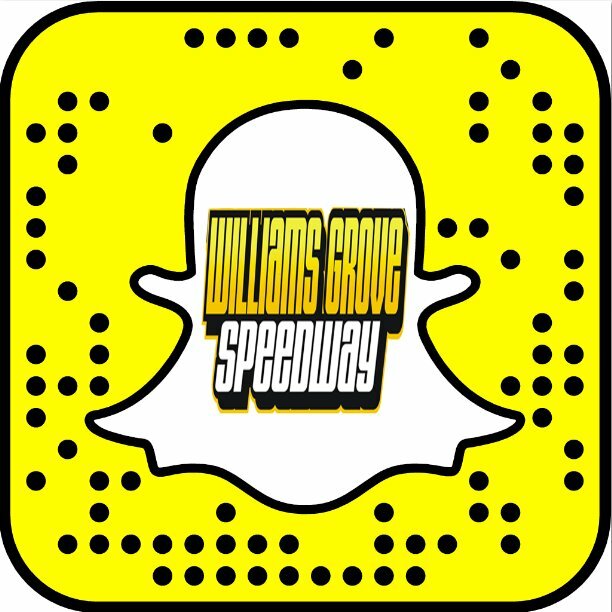 To see the full 2018 Williams Grove Speedway schedule of events, visit the oval’s official website, www.williamsgrove.com.